Unlike brands like Panasonic and Zojirushi, Oster doesn’t really shine in any discussion of the best bread maker brands. However, an Oster bread machine is not your run-of-the-mill appliance. With this particular brand of the bread machine, you’re getting your hands on a modern, dependable, and good quality bread maker that can last for a long, long time. It’s very affordable. 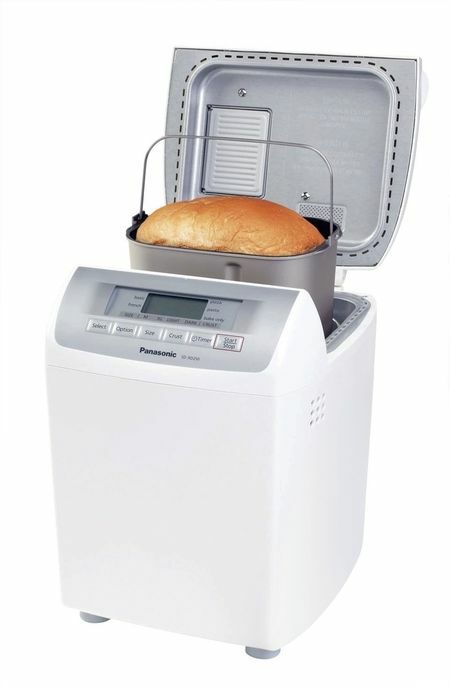 Yes, normally bread makers aren’t but this one is! It’s compact so it’ll look great on your limited kitchen counter space. It’s user-friendly to operate such that even beginner bakers can use them. 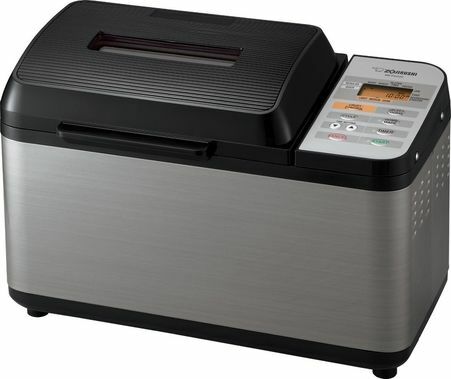 Buy your Oster CKSTBRTW20 bread machine now! Why Consider an Oster Bread Machine? Ok… So which Oster Bread Maker is the best for you? 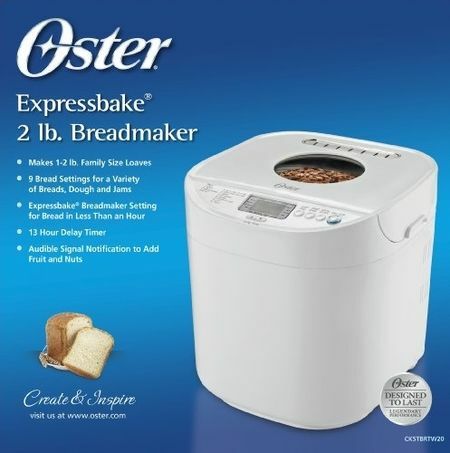 Is the Oster CKSTBRTW20 2-Pound Expressbake Bread Maker right for you? Is the Oster 5838 58-minute Expressbake Breadmaker right for you? 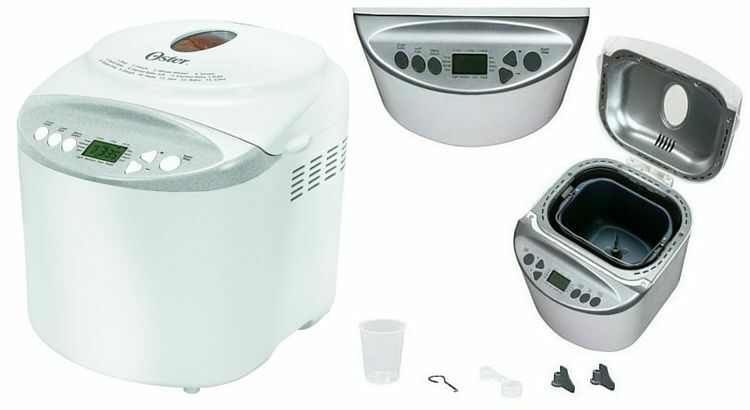 Is the Oster CKSTBR9050 Expressbake Bread Maker right for you? 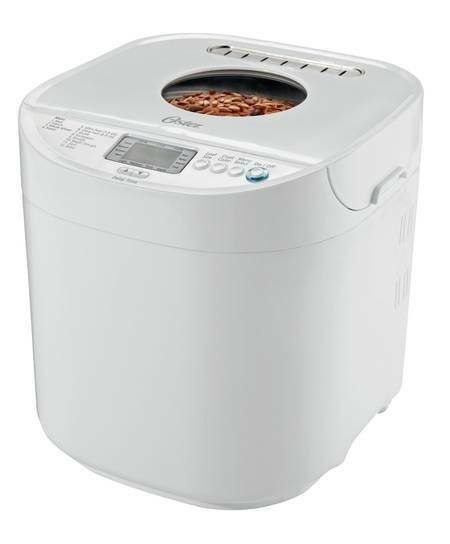 Highlight feature – The Oster Bread Maker with Gluten-Free Setting! The Oster brand name stands for performance, versatility and durability and their brand started in 1924. To date, they make blenders, skillets, removable pans, electric griddles, toasters, coffeemakers, kettles and bread machines. 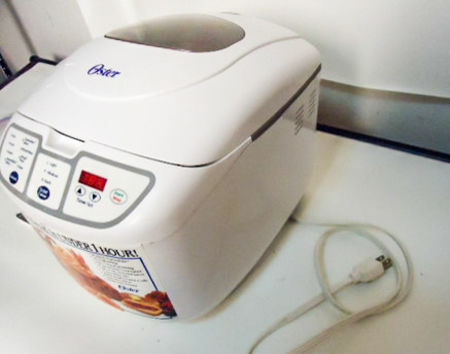 To begin with (and this has been mentioned earlier) a bread maker from Oster is very affordable. In fact, you can get a unit for less than $100. Other brands most notably Zojirushi, Cuisinart and Panasonic have bread makers that cost a lot more. This brand’s bread machines are also compact enough that storage should not be a problem at all. These units are generally user-friendly that you don’t need to be an expert baker to be able to utilize them. Moreover, the machines have the features you can expect from a modern bread maker. To be honest, it’s difficult to pinpoint just one bread maker as the best in Oster’s roster. 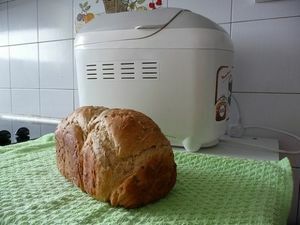 The best Oster bread maker would really depend on your specific needs. If you’re looking for a bread maker that can make loaves of bread that are good enough for a large family, then the Oster CKSTBRTW20 2-pound Expressbake bread maker is the right choice for you. If you are the type of person who wants a loaf of bread in less than an hour, the Oster 5838 58-minute and the Oster CKSTBR9050 are two products that can address your needs. Let us explain in more detail below. The TW20 2-pound Expressbake bread maker is a solid piece of equipment that can make a two-pound loaf of bread in as short as one hour. It’s ideal for small to mid-sized families who don’t want to be throwing away unconsumed bread. It’s also great for homemakers who like to create specialty items like jam and cake. While pros would definitely find the Expressbake breadmaker lacking in features, beginner bakers should appreciate this unit. We’ve taken a close detailed look at the CKSTBRTW20 and we came to the following conclusions. Inclusion of 12 various settings and three crust settings to give ultimate bread baking flexibility. It can make just about anything that other more expensive bread makers can do, including jam and cake. Ultra-fast baking to save you time. Unlike other more expensive bread machines that need two to three hours to bake bread, the Oster Expressbake can do so in around an hour. It’s very versatile so you can set and forget. It features a 13-hour delay timer which allows you to end the baking cycle in the morning, just when you wake up so that you can enjoy freshly baked bread for breakfast. You can also set the timer to end the cycle in the evening, right in time for dinner. If you’re a hands-on baker, you will love its large viewing window. You can monitor the bread while baking. All accessories included so you don’t have to buy more. The unit includes a removable baking pan, instruction manual, recipe book, and measuring cup and spoon. Quiet operation to keep your kitchen peaceful. It runs quietly and won’t rattle around the countertop. Smart prompts that remind you. It has an audible feature that alerts you when to add nuts and fruits during the cycle. Operate without looking. The buttons are raised from the surface so you can feel them. 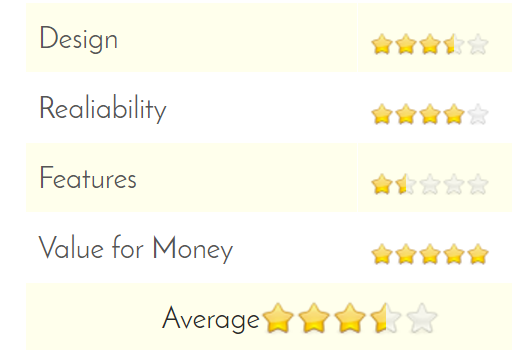 Oh and did we mention affordability? Of course, this Oster unit is so affordable that you can get it for less than $70. A not so attractive appearance. Its white exterior won’t excite your senses at all. You may even mistake it for a rice cooker which is certainly no compliment. If you’re the type of homeowner who wants her appliances to enhance the look of a kitchen, then you ought to look for other bread machine units like the Zojirushi bread maker or Panasonic bread machine. The kneading blade of the TW20 is also a bit disappointing. Unlike other models that had dual kneading blades, this Oster bread machine has just one. The plastic hinges on the lid can get soft because of the heat produced when baking the bread. Some reviews indicate that the hinges won’t last for more than two years. 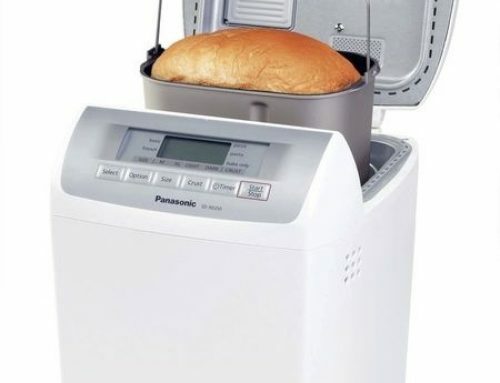 The 5838 58-minute Expressbake bread machine is the unit you should get if you’re a single guy or gal who can’t consume more than 1 pound of loaf. If you have a small family who likes to have bread for breakfast or snack, then this unit is something you should get as it can make up to a 2 pounder loaf of bread. You can also present this unit to a newlywed couple. So what are the things that you can look forward to just in case you decide to invest in the 58 minute Expressbake bread maker? Variety – It has eight different bread or dough making programs—basic, sweet, French, Expressbake 58 minutes, Expressbake 80 minutes, whole wheat, dough/pasta, and bake. Peace of Mind – You can also set the baking cycle to end at 13 hours which is ideal if you’re expecting to have freshly baked bread in the morning. Ease of Cleaning – It is easy to clean the unit, particularly the aluminum bread pan with non-stick coating. Warm Bread – The one hour keep warm cycle is a great feature, particularly for busy individuals. Let’s say that you’re unable to eat the newly baked bread in the morning because you have to work on a rush project. In other bread makers, you may have to settle with a cold bread that isn’t as appetizing as a warm loaf. But with the Expressbake unit, you can let the freshly baked bread sit in the machine without worrying about it becoming soggy or burning. So when you’re done with the rush work, you can get your bread and eat it right away. Compact for Small Kitchens – With dimensions of 11.5 inches x 13.7 inches by 11 inches, it is relatively smaller than other bread machines in the market. 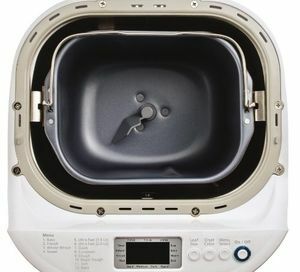 This means that you will likely be able to find a spot in the kitchen for this bread maker. Easy Operation – The unit has easy to access control and start/stop buttons. Further making the bread machine user-friendly are indicator lights, an LCD display, and up and down arrows that make adjusting of the time cycle easy and quick. See It Bake Live – The see-through glass viewing window would let you take a peek at the bread. Well Priced – It is very affordable, with an retail price of just under $80. 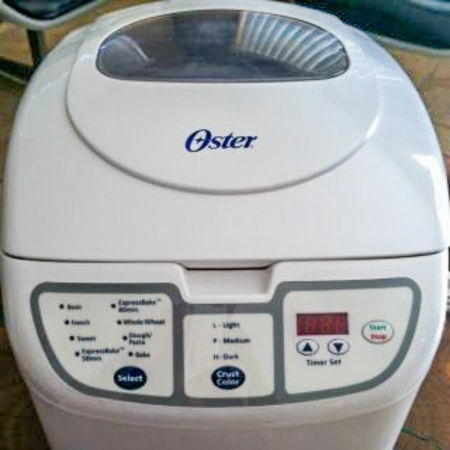 Although Oster has a reputation for producing good quality bread makers, the company may have overlooked the need to have a second paddle in this unit. Thus, most of the complaints are about the loaves collapsing and the ingredients not mixing well. One way to prevent these issues is to check the dough before the start of the first rise cycle. However, you can say that it can be very irritating to do that, especially when you consider that you’re supposed to have an automatic bread maker. The machine tends to be noisy when in operation. It’s an older model, so finding replacement parts in case it bogs down can pose problems down the road. The Oster CKSTBR9050 Expressbake Bread Maker is the bread machine you would want in your kitchen if you have a medium sized household. It’s also a good kitchen companion for single people and newly married couples who don’t need to bake lots of bread. Even individuals who are busy and appreciate having warm, newly baked bread will love the Oster CKSTBR9050 Expressbake Bread Maker. Settings, settings, settings – It has 13 pre-programmed settings, which is impressive for its very affordable price. The different settings would let you make various kinds of bread, pastries, and even jams. Quick bake – If you are in a rush, simply choose the express bake setting that lets the unit bake bread in less than an hour. Other settings like French, whole wheat, or basic would bake a two-pound load and thus need more than an hour to complete. Recipes – There’s a recipe book included so you can get started on your baking. Abundant Accessories – Also included are removable bake pan, a couple of kneading blades, a kneading removal tool, and a measuring cup and spoon. Check out the view – The large viewing window lets you see what is happening to the bread or pastry being baked. Space saving – While it does make large loaves of bread, the unit doesn’t hog a lot of space in the kitchen. 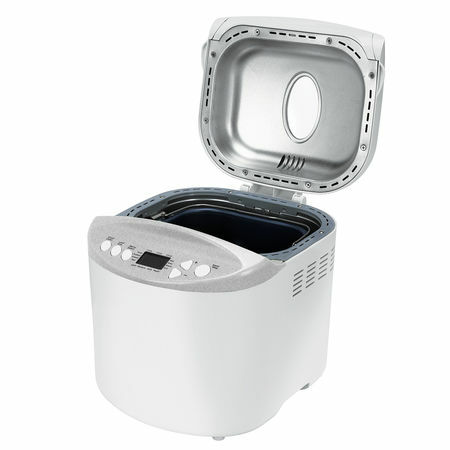 If you have a small kitchen then this bread machine is something you should consider adding. Not so flashy – Its design is so basic that it won’t really catch the attention of anyone who visits your kitchen. Single Blade – A common design flaw of Oster bread machines it the use of a singular kneading blade. Like the two other models discussed, the 9050 is not the dual kneading blade type. Yes, there are two kneading blades included in the package but the other is a spare. Having a single kneading bread can compromise the quality of the bread or dough. Quality – It doesn’t feel as sturdy as other more expensive bread machines. Noise – It can be noisy while in a cycle. The 9050 and the TW20 are the only two Oster bread makers that have gluten free settings. The 5838, interestingly, has no specific gluten free setting. However, many gluten-free users say that one good trick is to use the wheat setting. This brings us to another advantage of using these Oster bread machines at home—you don’t need to spend a lot for gluten-free food. 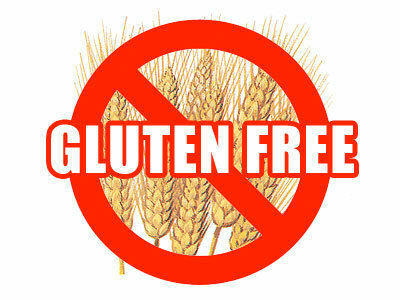 By having a bread maker that would allow you to prepare your own gluten free foods, you can save a lot of money! 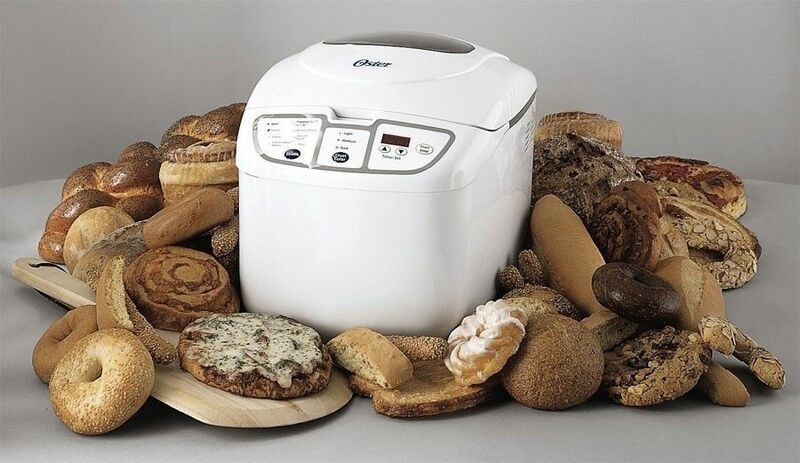 Oster bread machines are widely available in appliance centers, department stores, and retail stores. 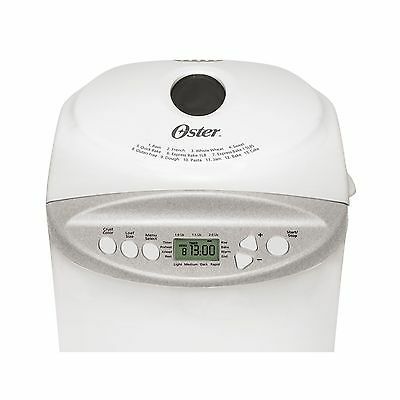 In case you can’t find a brick-and-mortar store that carries Oster bread makers, you can go online to Amazon.com or even the Oster’s corporate website and order a bread machine of your choice. 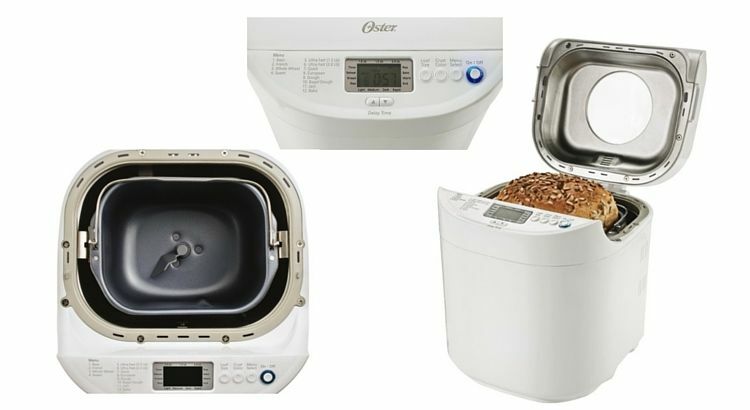 Like most bread maker brands, Oster gives a one year warranty on parts and labor for its bread machines. The company will determine if a defect is due to poor workmanship or production, and will either replace the defective unit or repair it using a new part. So the question now is – should you buy any of these products? 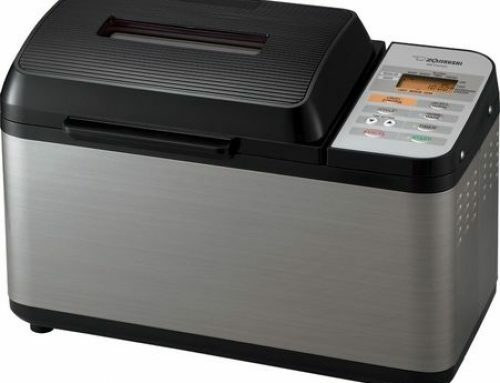 Oster bread machines are reasonably priced and it’s the go-to-brand for practical individuals who believe that they don’t have to spend more than $100 for a good quality bread maker. While Oster bread machines have their share of drawbacks like the use of a single kneading blade, less-than-sturdy built and uninspired design, the versatility and durability of these kitchen appliances are something you ought to really consider in your decision-making. 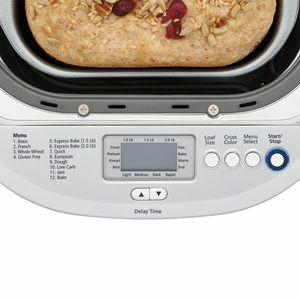 The above 3 models of the Oster bread machine are all of great value and offer amazing baking experiences. However, we’re a big fan of the CKSTBRTW20 because of the numerous functions, crust settings, and ultra-fast baking and we think it’s the best value for your money.